This package includes activities the whole family will enjoy. 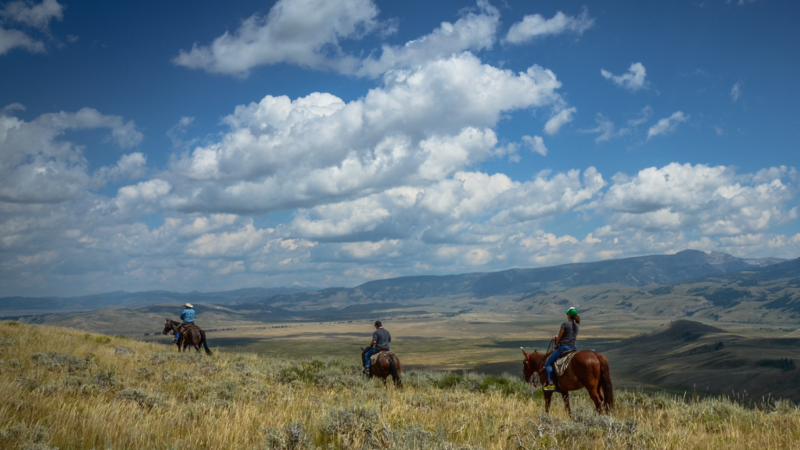 From whitewater rafting down the mighty Snake River, to horseback riding past the snowcapped Tetons, Jackson Hole offers endless opportunities for family-friendly adventure. Marvel at the spectacular views of five mountain ranges and explore a network of trails for hikers of all ability levels on an aerial tram ride. Then head to an authentic western covered wagon cookout. Remember to check out the nightly shootout reenactment on Town Square! Downtown lodging is conveniently located within walking distance to a number of kid-friendly restaurants for a fun night on the town! Three and four night options available. Call the local Jackson Hole experts at 888-838-6606 to book this package or customize it with additional activities, lodging upgrades, airfare and transportation. *Price based on quad occupancy. Availability is limited and restrictions apply. New reservations only. Valid dates of stay: May 24, 2019 - September 8, 2019. Book by September 5, 2019. For alterations or custom additions to the package, please call 888-838-6606.